Street children at Khau Gali are in ‘Dear Future Generations,’ on National Geographic. Kristian Bertel has contributed to the National Geographic Your Shot community with an assignment called ‘Dear Future Generations,‘. For this photo assignment curated by David Y. Lee, a producer at Nat Geo Your Shot they want us to show pictures that have generation to it. Every time we take a picture, we are capturing a moment in time. We are essentially building an Archive. Your Shot wants us to share photos and stories that document the legacy of our present world for future generations. Pretend that the final story will be a museum exhibition 100 years in the future. What are the landscapes both urban, natural and social and timeless human stories that need to be documented and preserved? Nat Geo are looking for stories and photos that resonate in the present day, and will also reveal to future generations the world we live in now. For inspiration, we can think about what those images, taken more than 100 years ago, tell us about now. Then imagine what the world will look like 100 years in the future, and how future generations will reflect on photos we create today. We should show National Geographic those pictures. Because Your Shot is home to photographers from 195 countries, the final story will be an insightful, powerful and global archive of images and stories for future generations to study, analyze and understand. As David is saying it: ”- For this assignment, your caption will be important. You won’t be present in the future to explain the who, what, when, and why featured in your photo — so take advantage of your caption to provide necessary details and information for the viewer. How can you make the Your Shot community and future generations care about that moment you’ve captured?”, he says. A generation is all of the people born and living at about the same time, regarded collectively. It can also be described as, the average period, generally considered to be about thirty years, during which children are born and grow up, become adults and begin to have children of their own. 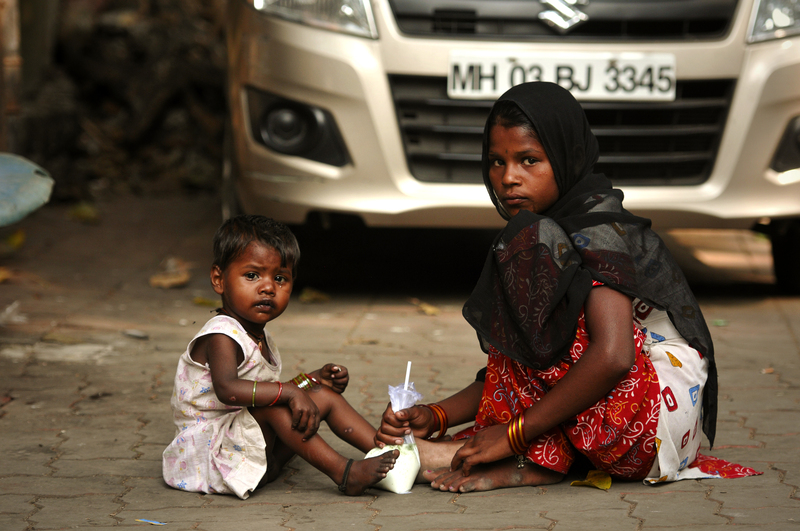 The photographer chose to submit a photo of two Indian street children at Khau Gali in Mumbai in India. Social equality like with these street children is a state of affairs that we still might have in the future generations, in which all people within a specific society or isolated group have the same status in certain respects, including civil rights, freedom of speech, property rights and equal access to certain social goods and services. However, it also includes concepts of health equity, economic equality and other social securities. It also includes equal opportunities and obligations and so involves the whole of society. Social equality requires the absence of legally enforced social class or caste boundaries and the absence of discrimination motivated by an inalienable part of a person’s identity. For instance the Street children in this assignment. ”- Equal opportunities is also in India interpreted as being judged by ability, which is compatible with a free-market economy. Relevant problems are horizontal inequality, where the inequality of two persons of same origin and ability and differing opportunities given to individuals such as in education”, the photographer Kristian Bertel says.